One of thirteen. 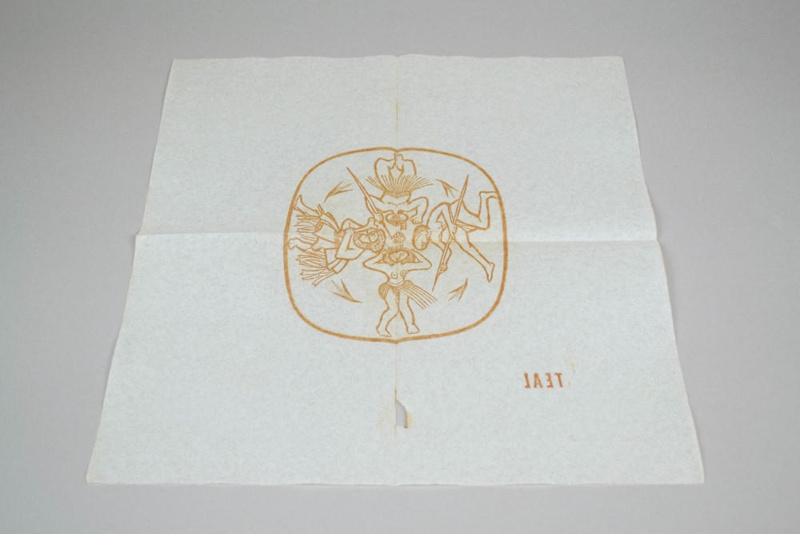 Square white napkin with a gold stylised 'pacific' image of four figures within a circle. 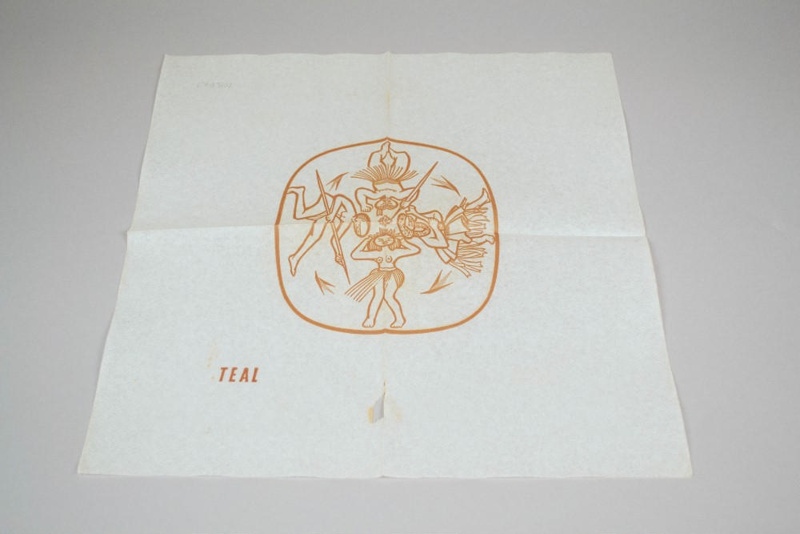 At the centre 'TEAL' printed at proper lower right corners.